Seasoning There are 10 products. 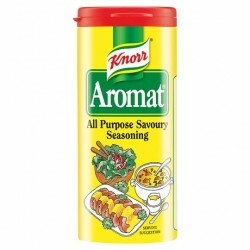 Knorr Aromat Seasoning is a finely balanced blend of herbs and spices, carefully selected to bring out the best in your cooking. 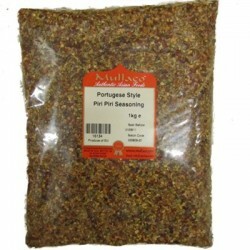 It's incredibly versatile - you can use it just like salt and pepper, either whilst cooking or at the table as a condiment. Try it with vegetables, rice, pasta, salads or rub into meat or poultry before roasting or grilling. 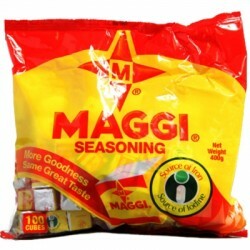 Used by generations as a cooking companion, you simply crumble 1x Maggi seasoning cube into your pot of fresh vegetables, meat, soup or pasta, and stir it all together to bring out the delicious taste! These tasty cubes are also a great source of iron and iodine, which is great for healthy blood formation. THIS ITEM IS OUTCODED. BB 12/15. Vegeta Original is an all-purpose food seasoning, consisting of spices and dried vegetables, that adds flavour to any dish. 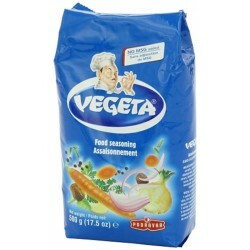 Food tastes better with one spoon of Vegeta! A spice is a seed, fruit, root, bark, or other plant substance primarily used for flavoring, coloring or preserving food. Spices are distinguished from herbs, which are the leaves, flowers, or stems from plants used for flavoring or as a garnish. THIS ITEM IS OUTDATED. MAX 6 PER CUSTOMER. Pour On Peri Peri Marinade (500ml). 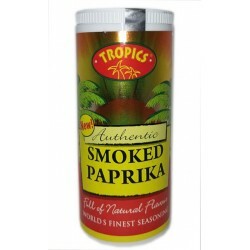 Tropics Smoked Paprika is a brilliantly coloured red spice ground from selected capsicums and is naturally high in Vitamin C. Mild but flavourful spice, Tropics Smoked Paprika, can be used to both season and colour foods. It can also be added to stews, soups and sprinkled over top of meats.